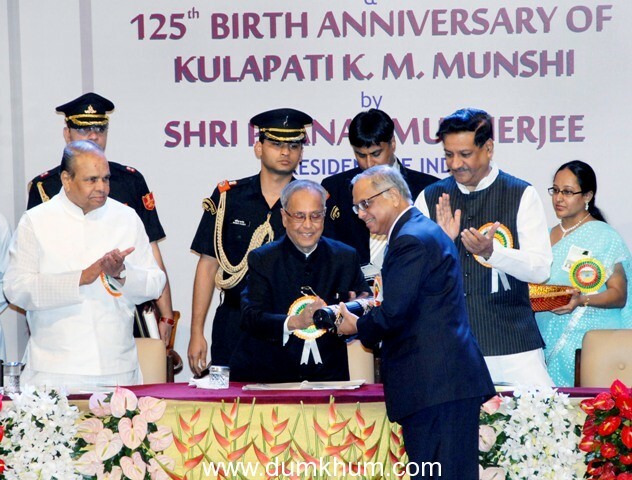 President inaugurates Platinum Jubilee Celebrations of Bharatiya Vidya Bhavan Bhavan’s Honorary Membership conferred upon Kishori Amonkar, Ila Bhatt & Narayan Murthy. 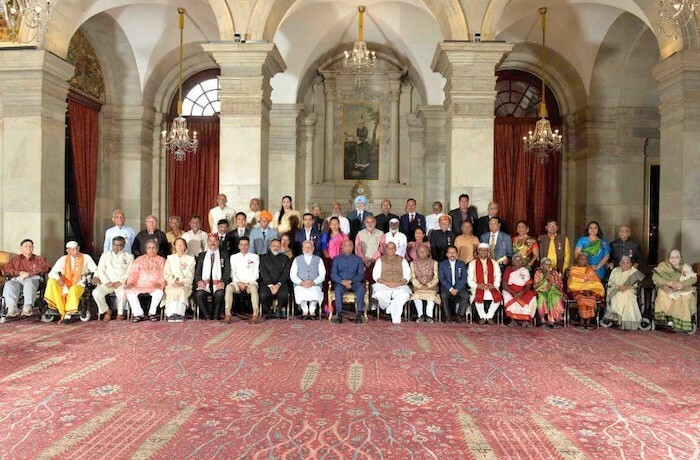 Bhavan’s Honorary Membership conferred upon Kishori Amonkar, Ila Bhatt & Narayan Murthy. 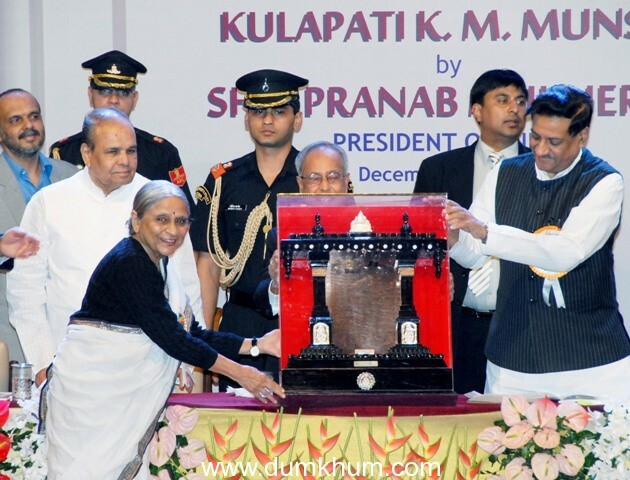 President Pranab Mukherjee today inaugurated the Platinum Jubilee celebrations of the Bharatiya Vidya Bhavan in Mumbai, paying glowing tributes to the contributions of its founder Kulapati K M Munshi. This year also happens to be the 125th birth anniversary (Quasquicentennial) of the Bhavan’s founder. Addressing a packed audience, Shri Mukherjee recalled the multi-faceted role played by late K M Munshi as a writer, speaker, lawyer, Constitutional expert, administrator and statesman. “K M Munshi was a man of small build, but there was nothing small in what he achieved during his life time” said President Mukherjee, describing him as one of the three ‘dreamers’ of modern India. The other two being – Mahatma Gandhi, who dreamt of a world without violence and Jawaharlal Nehru who dreamt of a strong, united and democratic India. Recollecting K M Munshi’s role as an important member of the Constituent Assembly, along with B R Ambedkar, President Mukherjee credited Munshi for incorporation of Equality before Law as one of the Fundamental Rights. President also recalled the role played by the Bharatiya Vidya Bhavan in ushering in cultural renaissance by capturing the values of Indian heritage afresh for the new generation. President said “movements like Bhavan’s are the need of the day”. 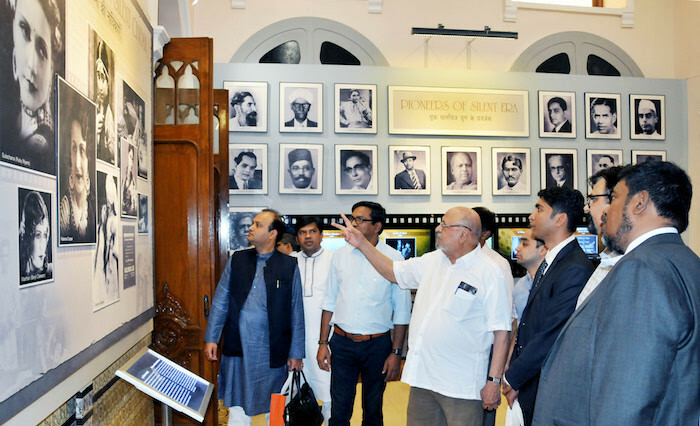 He said ‘Bharatiya Vidya Bhavan has stood the test of time and been a beacon light guiding Indians and foreigners alike in their path to lead a balanced and wholesome life. 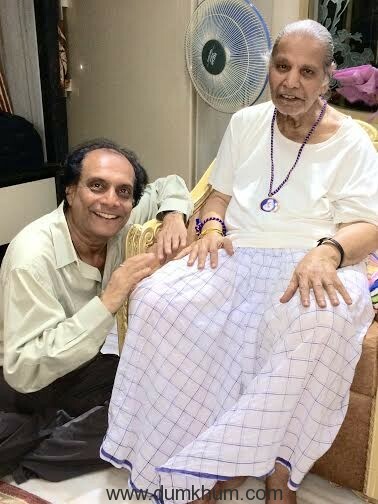 On the occasion of the Platinum Jubilee celebration, Bharatiya Vidya Bhavan conferred its rare ‘Honorary Membership’ upon veteran Hindustani Classical singer of Jaipur-Atrauli Gharana- Kishori Amonkar, Gandhian and exemplary champion of women and downtrodden through her ‘SEWA’ initiative – Smt. Ila Bhatt and the face of Information Technology in India and founder of the Infosys Technologies – N R Narayan Murthy. The honorary membership is bestowed upon outstanding personalities who have reached the highest peak of excellence in their chosen field of endeavour. In the past, only 40 honorary memberships have been conferred and the list includes the likes of Dalai Lama, Mother Teresa, C Rajagopalachari, Rajendra Prasad, S Radhakrishnan, Zakir Hussain, G D Birla, J R D Tata, Harold McMillan, Justice M Hidayatullah, Shivaram Karant, M S Subbulakshmi among others.